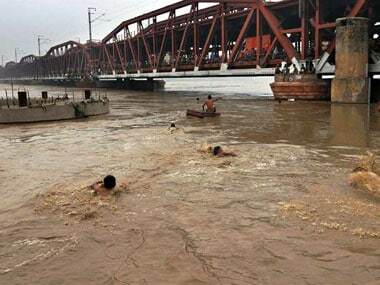 The water level in the Yamuna had crossed the danger mark on Monday, forcing the evacuation of around 10,000 people. 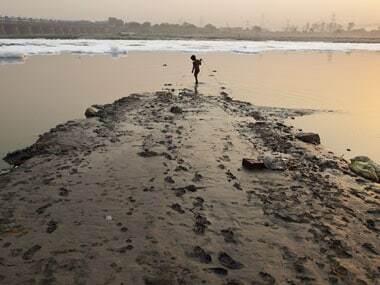 Some activists late evening on Saturday took a "holy bath" with the dry Yamuna sand, as there was no water in the river. 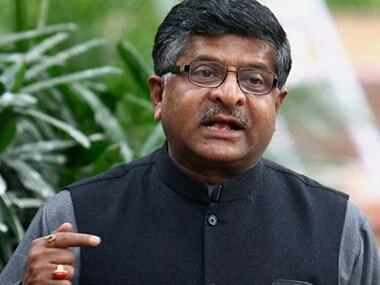 Union minister Ravi Shankar Prasad on Wednesday said the construction of Ram temple in Ayodhya "is a matter of faith" and not an election issue. 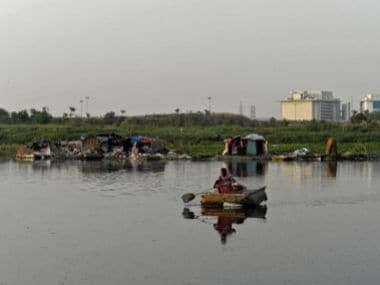 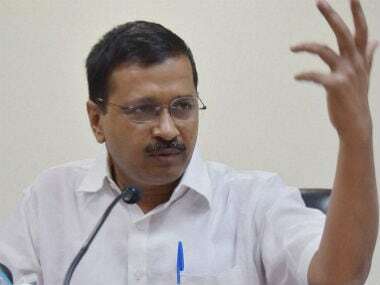 The level of deterioration in the condition of the Yamuna has only increased over time and various measures have appeared to be inadequate to address the situation. 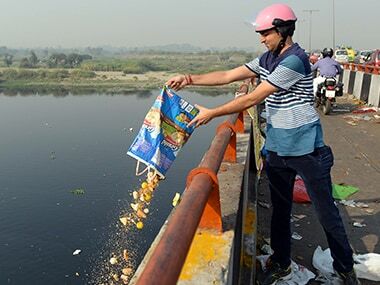 Broken earthen pots, rotting flowers, tattered pieces of cloth and sodden coloured paper littered the banks of the Yamuna on Sunday, a day after Durga puja immersions.